Home Tags Posts tagged with "Saif al-Islam"
Saif al-Islam, the fugitive son of colonel Muammar Gaddafi has been captured, Libya’s interim justice minister says. Saif al-Islam Gaddafi, 39, is said to have been seized by fighters near the southern town of Obari and flown to Zintan in the north. Muammar Gaddafi’s son is the last key member of the Gaddafi family to be captured or killed. Saif al-Islam Gaddafi is wanted by the International Criminal Court (ICC) for alleged crimes against humanity during the uprising against his father. A picture apparently showing Saif al-Islam Gaddafi after his capture has appeared on the page of a Facebook group based in the Libyan town of Sabha. 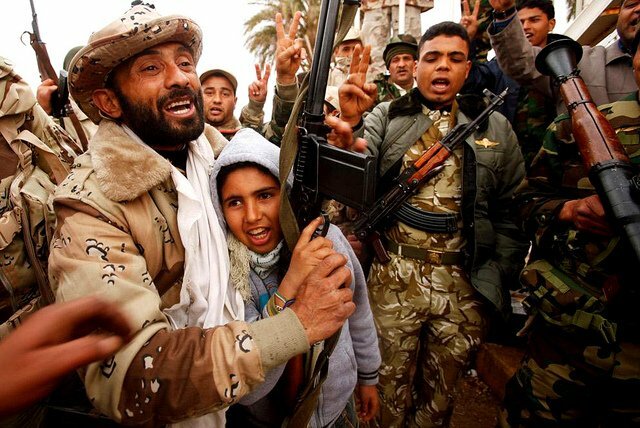 A militia force allied to the National Transitional Council (NTC) said Saif al-Islam Gaddafi had been captured in Obari, near Sabha, in the south-west, and was taken to their base in Zintan in the north. A commander of the Zintan militia, Wisam Dughaly, said Saif al-Islam Gaddafi had been captured along with several aides, as they tried to smuggle him out to neighbouring Niger. 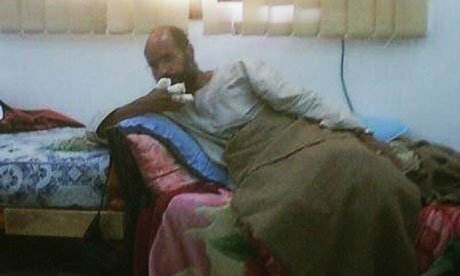 Wisam Dughaly said Saif al-Islam Gaddafi was not hurt, though the picture on Facebook showed his right thumb and two fingers bandaged. The NTC’s Justice Minister Mohammed al-Allagui confirmed the capture and said Saif al-Islam Gaddafi would be transferred to the capital, Tripoli, soon. The ICC in The Hague says it has been officially notified of the arrest. An ICC spokesman, Fadi el-Abdallah, told the BBC that Libya had a legal obligation to hand over Saif al-Islam Gaddafi – who is wanted on charges of crimes against humanity – to the court. However, ICC spokesman added that the final decision on where any trial would take place was up to the ICC judges after consultations with the Libyan authorities. “The good news is that Saif al-Islam is arrested, he is alive, and now he will face justice,” ICC prosecutor Luis Moreno Ocampo said. The reported capture leaves Muammar Gaddafi’s former intelligence chief, Abdallah Senoussi, as the only Libyan ICC suspect still at large. Saif al-Islam Gaddafi had been on the run since NTC forces took the capital, Tripoli, in August. Muammar Gaddafi himself was killed on 20 October after being captured during the final battle for his hometown, Sirte.